Announcement COMING EARLY IN 2019! Paw & Claw Designs Handcrafted Beauty and Skincare. Simple, clean ingredients to help you look and feel your best. Stay tuned! Domestic shipping and gift wrap is ALWAYS included in the item cost. 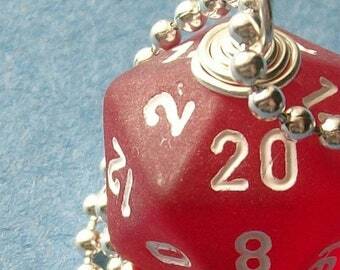 Handmade sterling silver earrings, RPG pendant, geekery and more! The item was great and the person I gifted it to loved it. Show them how you roll. I make awesome things more awesome. 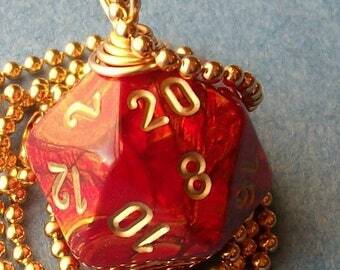 Things like dice, wire, funky beads and other oddities become wearable art when put at my disposal. I never stop tinkering, playing and experimenting to create some of the best geekery and jewelry out there. I'm inspired by the things I love: my equally geeky husband, my tight-knit circle of geeky pals, vast collections of comics, piles of books, stacks of DVDs and of course the materials themselves. 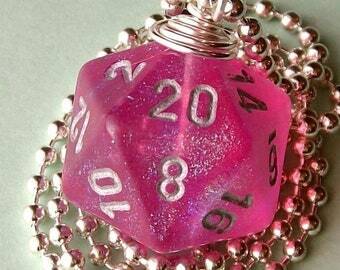 Swing by my shop for an RPG die pendant, one of a kind sterling silver earrings or to request something made just for you. Welcome to the shop policies for Paw & Claw Designs. Please take a moment to read the policies listed below, and then browse my shop to make your selections from my line of handmade bead and wire jewelry for one-of-a-kind people with one-of-a-kind taste! Should you have any questions or special requests, please do not hesitate to click on “contact pawandclawdesigns” to send me a message. You may also contact me via email at kittenspawn[!at] yahoo.com. I will reply to your request promptly. I stand behind my work and want you to be happy. If at any time you're not happy with an item, simply return it in like new condition, and I will gladly refund your full purchase price within 3 business days of my receipt of the item. The buyer will be responsible for return postage costs. Please do not hesitate to contact me prior to placing your order if an item is not quite "perfect" for you. I'm more than happy to make it perfect. Ear wires can change to a different style or metal, color of beads can be changed or an entirely custom piece can be designed just for you to meet your unique needs! Additional fees and production time may apply. Accepted payment methods are Credit Card, Etsy Gift Card, PayPal or Google Checkout ONLY. I do not accept Money Orders or Checks. All Items come gift wrapped, ready for gift giving right away. Whenever possible, I will use clean recycled packaging materials with the exception of bubble mailers. Your order will always ship in a new bubble mailer unless you request a used mailer. I do not include packing slips or receipts unless requested. US residents who pay via PayPal; Your order will ship via PayPal shipping, so please be sure your PayPal address is correct. US residents who pay directly; Your order will ship via Etsy Shipping. Please be sure your shipping address is correct. US residents will be able to check a packaged delivery via the USPS website at http://usps.com with the delivery confirmation number that will be provided to you by PayPal or Etsy when I ship your order. Fellow sellers, I am willing to trade items in my shop for items in your shops of equal listed price. If you see an item you like, please send me a message to ask about a trade. My trading process entails us both purchasing the desired item, and cross shipping the corresponding trade item as payment with delivery confirmation service at the shippers expense. I reserve the right to refuse any trade requests, and grant you that same right to refuse any requests I may send to you.